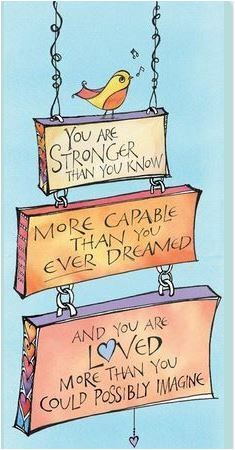 After my intense four-year battle with breast cancer, I’m a big believer in surgery, chemotherapy, radiation, and other “conventional” treatments. Given how aggressive my cancer was, there's a 90% chance it would have already taken my life if I hadn't had those treatments. But as you know, conventional therapy can be very hard on the body. One solution is to find natural, food-based solutions that have been scientifically shown to help mitigate the side effects of cancer treatment. One of the lifesaver supplements I took during my cancer treatment–and will take daily for the rest of my life–is coriolus mushroom. Coriolus helps the body deal naturally with a major treatment side effect of chemotherapy called neutropenia — a drop in white blood cell count that occurs a few days after a chemotherapy infusion. Chemo works by destroying fast-dividing cells, and because that impacts white blood cells (the body’s immune cells) that leaves you vulnerable to infection and illness. Before each chemo treatment, my oncologist would check my white blood cell count. If it was too low, they would delay or even discontinue chemotherapy. So by keeping my white blood cell count up, I could increase the chances of completing my chemotherapy regimen, which increased my odds of killing the cancer — and surviving. Initially, I experienced this awful cycle. After each infusion of chemo, my white blood cell count would drop way low, and I would become a magnet for infection. I once got so sick from a bronchial infection that I couldn’t breathe and one night almost checked myself into the emergency room at 2:00 AM. “Conventional medicine” deals with this drop in white blood cells by administering a $3000 drug called Neulasta (or Neupogen), which forces your bone marrow to produce white blood cells. Shortly after each chemo, I had to go back to the hospital to get this hugely expensive — and painful — shot. Because Neulasta works by forcing the bone marrow to produce white blood cells, it hurts deep in your bones, so you may need additional pain medication. This cycle of needing drugs (pain meds) to handle the drugs (Neulasta) to handle the drugs (chemo) that you need to handle the cancer is a bit crazy. Then my husband did some research and discovered that coriolus mushroom could help me ​escape that vicious cycle. In Japan, they’ve found that an inexpensive, natural coriolus extract boosts the white blood cell count tremendously, so they skip the $3,000 Neulasta shot and all the side effects. They’ve purified coriolus into a drug called PSK which they deliver by IV right at the chemo center. Here you can't get an IV infusion of PSK, but you can take coriolus mushroom pills, and they work like a charm. My husband tracked down the only US seller of properly extracted, PSK-grade coriolus: Mushroom Science’s Coriolus Super Strength PSK Formula. ​We ordered six bottles (and got one free), and I took four capsules daily throughout my cancer treatment. My oncolgist was fine with my taking it, since it’s essentially just food. The amazing part is that these simple mushroom pills quickly boosted my white blood cell count back to the normal range to where I no longer needed Neulasta. My white counts were so normal that my oncologist was quite surprised. More importantly, I stopped catching every infection under the sun after every chemo treatment, and that meant I could continue letting the chemo do its life-saving work. It's been four years now, and I continue to take coriolus daily. (We buy it by the case.) As long as I can continue to afford it, and Mushroom Science keeps selling it, I will take it daily for the rest of my life. 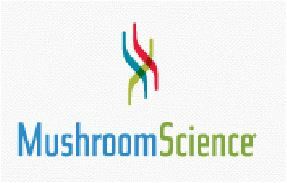 One more thing – we did a lot of research before selecting Mushroom Science as our supplier. They are the only producer of coriolus that uses the HOT WATER EXTRACT method, the only method clinically tested and shown to work. 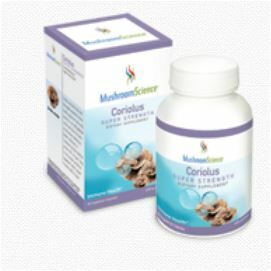 Cheap coriolus sold by other suppliers is not really the mushroom, but ground up powder of the mushroom mycelium (the stringy fibers underneath the mushroom), which does not have the same polysaccharide composition. Since the polysaccharides in the coriolus are what make it work, I’m sticking to the hot water version. I reached out to Mushroom Science for a discount, since I buy so much from them and I am such a believer in what they do. They offered me a coupon code I can pass on. It’s the word “Katherine” and it’s already embedded in the link above. If you use it, they will send you a free book on the medicinal benefits of mushrooms. I have more to say on the amazing benefits of mushrooms, and would love to devote a chapter in a book I might write on surviving cancer. I'm so busy working on other things that I might not get around to it! It's nice to be so well, considering what I'm up against.